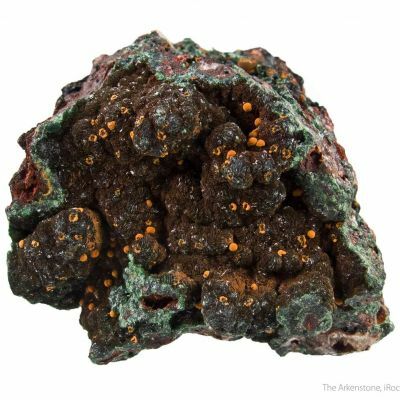 A rare locality piece of an already rare copper species, with sharp crystals! 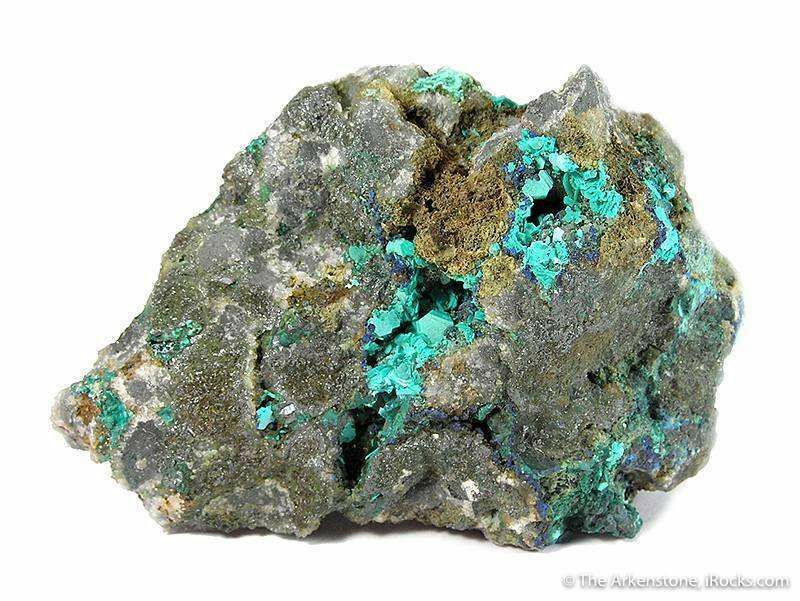 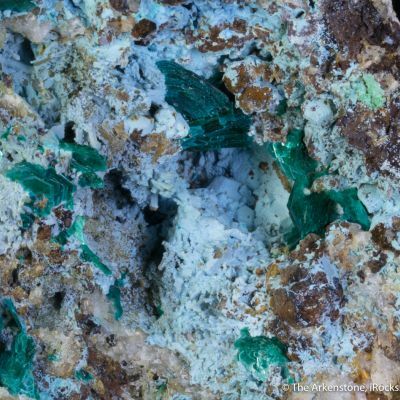 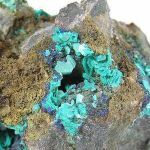 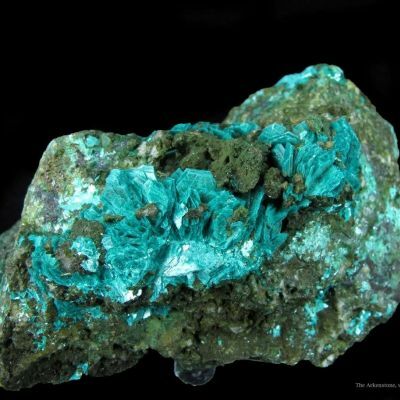 Nestled in the matrix are several, lustrous, teal blue, platy, crystals of chalcophyllite, to .3 cm across. 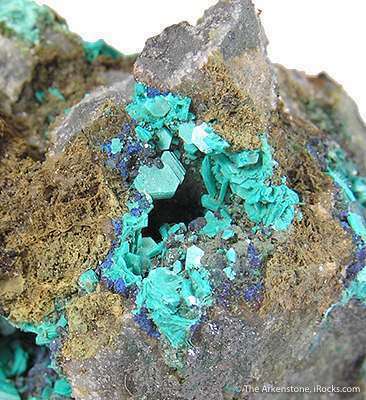 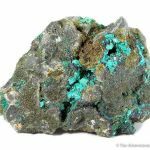 There is also a thin druse of azurite around the perimeter of the vugs. 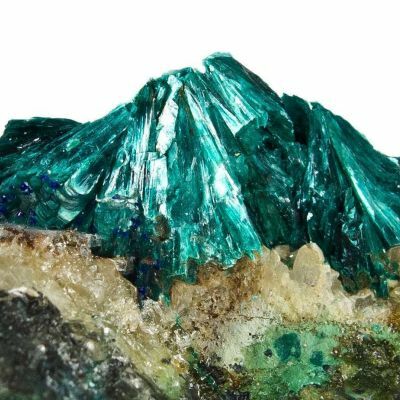 Very showy and rich, for such a rare piece.